Why should you select The Marañón River in Peru over other destinations? This is Grand Canyon style rafting at its finest. Big sandy beaches to camp on, fun & exciting big water rapids and a stunning, deep canyon are things that you would expect on any Grand Canyon trip. On the Marañón we have additional highlights: 1) we are able to visit remote Andean villages which add a unique element of cultural exchange with locals. 2) the landscape and scale of this Andean Canyon is MASSIVE! At some points the Marañon is almost twice as deep as the Grand Canyon of the Colorado. What’s more, the highly endemic forests of the Marañón are like no other place on earth as this transitions toward the Amazon it is a truly unique river journey. 3) Still relatively untraveled, you are unlikely to see another group while on the Marañón and will get a true wilderness experience. Low number of tourists also means campfires are still allowed. Sitting round the campfire enjoying a cold beer, wine or pisco is the perfect way to finish up any day of rafting. Before or after trips guests can visit the World’s Leading Tourist Attraction, Machu Pichu; or explore many more unknown wonders in Norther Peru such as the Ancient city of Kuelap and the Gocta Waterfall. The people of Peru are considerate and friendly to travelers; especially the people living near to the river. Rafters are seen by locals as key allies to help defend the river from dams, and are often welcomes to villages with fresh fruit, cacao or maybe even a cold beer. When passing locals on the river there will always be an enthusiastic greeting, often followed by a short chat (about weather, crops, river level and any news about dam proposals.). Other times when camping near villages, film screenings are arranged so that travelers and locals alike can enjoy a film generally centered around the social and environmental realities of living in the Andean-Amazon. Peru has been rated Best Culinary destination by World Travel Awards for 6 consecutive years in a row. The produce available at your local markets is of the highest quality and there is a variety available not found anywhere else (at the potato store in markets you can often find hundreds of different varieties!). While in Lima, you must try fresh Ceviche and select from dozens of traditional plates which draw inspiration from the different regions of Peru. Before and after a Marañón trip guests can stay in 3, 4 or 5 star hotels depending on their preference, this can be in traditional Hacienda’s or elaborate buildings from Colonial times. While on the river we provide high quality tents which can be strategically placed on beaches so that guests get the best possible views of the canyon. The Marañon is the primary source of the Amazon. If you go upstream along the Amazon from the Atlantic Ocean, and at each fork in the river you choose the one contributing the greatest quantity of water, you will arrive to the Marañón. All up, there are 500km of high quality, accessible rafting on the Marañon River. Groups who choose to complete the whole journey would usually do this over 27 days. Interestingly, this river was planned to be dammed in 2014, but due to massive local opposition, increased tourism and work of NGO’s including Marañón Waterkeeper; these dam plans have been stalled, cancelled or abandoned. Your support choosing the Maranon as your next tourist destination helps to build the case of why this river is more valuable free flowing! Many guests tell us that stopping in the villages of Tupén and Mendán are highlights. Enjoying the quiet, relaxed speed of life, and getting beaten in a game of soccer by the local children is always humbling. Other highlights are the pools and cascades of La Lejia and the riverside hotsprings on the Upper Canyon. Direct flights are available to Lima from most major airports in USA, Canada and Europe. 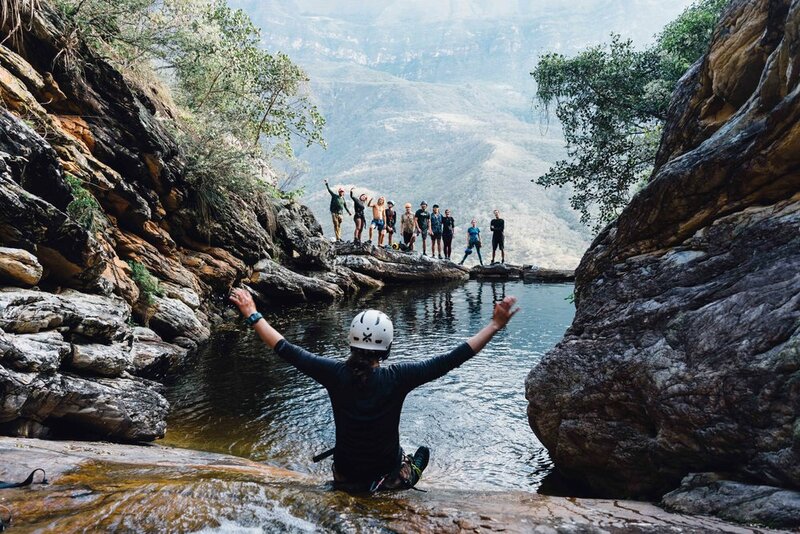 If travelling to the Grand Canyon of the Marañón from Lima you can take a 1 hour connecting flight to the starting point in Cajamarca. 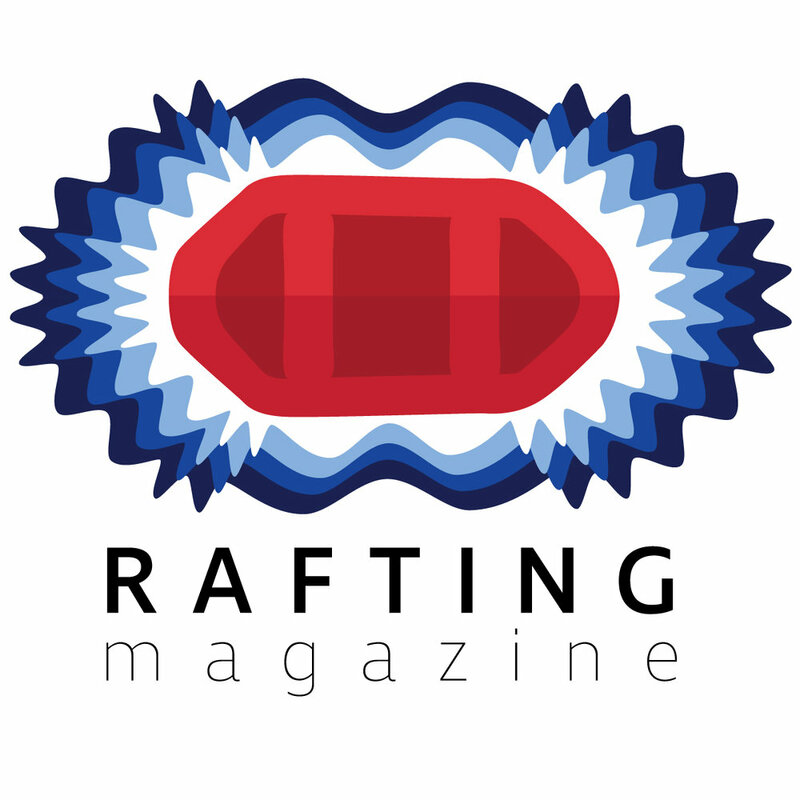 The best time of go rafting in Peru is between late May and early November. In this period the water level is perfect, weather is warm, sunny and dry. 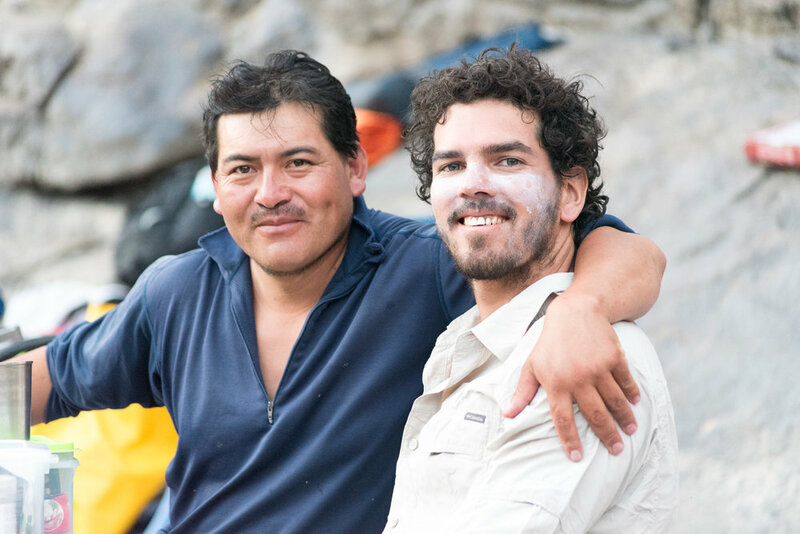 Benjamin Webb first went to Peru when he read about dams planned on the source of the Amazon, he founded Remando Juntos, and Marañón Waterkeeper to help create more awareness of this globally important river. Along the way he developed a passion for sharing this unique river journey with visitors and has been chasing rivers ever since. You will normally find Ben rowing the passenger raft, telling tales from the river.